Virtual Reality (VR) has had an arduous and disheartening history over the past several decades, but things have recently been looking up. There are many reasons you aren’t currently able to play Fallout 4 in a computer generated landscape projected right onto your eyes, but the foremost probably comes down to limitations in technology. VR mavens, however, would have you believe that we are almost there(!) with a product called the Oculus Rift (if that doesn’t sound like a dystopian instrument of psychological warfare to you, then you and I are clearly not of the same ilk). Long story short, tech prodigy Palmer Luckey – we’re talking like legit Jimmy Neutron levels here – became interested in developing VR technology while sitting in his parent’s basement as a teenager. After experimenting with Tesla coils, playing with lasers (and, incidentally, burning some blind spots in his eye), and fomenting an internet community obsessed with optimizing VR, Luckey emerged as a face of the pre-imminent Oculus Rift brand. The advances he has been able to make have converted some previous skeptics of VR and attracted some pretty wealthy investors, like Mark Zuckerberg. And you better believe richies like Mark Zuckerberg aren’t just interested in a more immersive video game experience. VR could change the game in all sorts of industries, and today, in true UNdertheC fashion, we’re going to talk about what VR could do for Marine Science. study fluid flow through a direct visualization – without an expensive wave tank or PIV setup. Think computational fluid dynamics, but you’re IN the computer. You can witness developments as they happen pause, rewind, fast-forward, create a disturbance with your hand. Clearly, the VR environment will be limited by our current capability of representing fluid flow, but as anyone familiar with the science behind Interstellar’s black hole, or the work of video game developers, scientists aren’t the only ones interested in improvement in this area. If you’ve kept up with VR development for the last several decades, the biggest obstacle has been minimizing the visual/physical discontinuity in the user experience. In other words, the computer in the interface couldn’t work fast enough to make what you’re seeing match up with what your brain expects you to be seeing based on how you’re moving. This incongruity disrupts the balance in your inner ear, the same phenomenon that causes seasickness. If you know me at all, or if you stalk me via this blog, you know that seasickness can have a huge impact on marine science fieldwork. Several small-scale experiments, mostly involving motion sickness as experienced by astronauts, have shown that a habituation to inner ear imbalances can mitigate the effects of motion sickness through exposure. VR could be a relatively inexpensive way to acclimate marine scientists to fieldwork environments and minimize the effect of seasickness on the science that’s GOTTA GET DONE YA’LL EVEN IF YOU’RE ON DRAMAMINE. One of the most significant reasons that studying hydrothermal vents is so hard is their location (or lack of knowledge of the location). Seafloor studies, especially those at such extreme environments of heat, pressure, and chemistry like HT vents, are notoriously expensive and rare. While we don’t yet know enough about the biogeochemistry of these vents to create VR simulations, we could certainly use VR to control robotics that are at the seafloor. RUVs are their own breakthrough science, but VR could greatly improve their effectiveness if a researcher could see the environment like they were actually there and take samples accordingly. Similarly, the “cinematic” capabilities necessary for this concept could provide an added dimension of outreach – let students walk through a hydrothermal vent to see the dynamic and diverse system that we know so little about. Imagine you could make observations about an ecosystem and community dynamics, immersed in the environment, without ever getting scuba certified! Admittedly, scientific dives are a great workplace benefit for many marine scientists, but field work of this nature can be cost and weather prohibitive. The ability to setup cameras and feed the “data” back to your lab could be a revolutionary way to conduct marine ecology research. 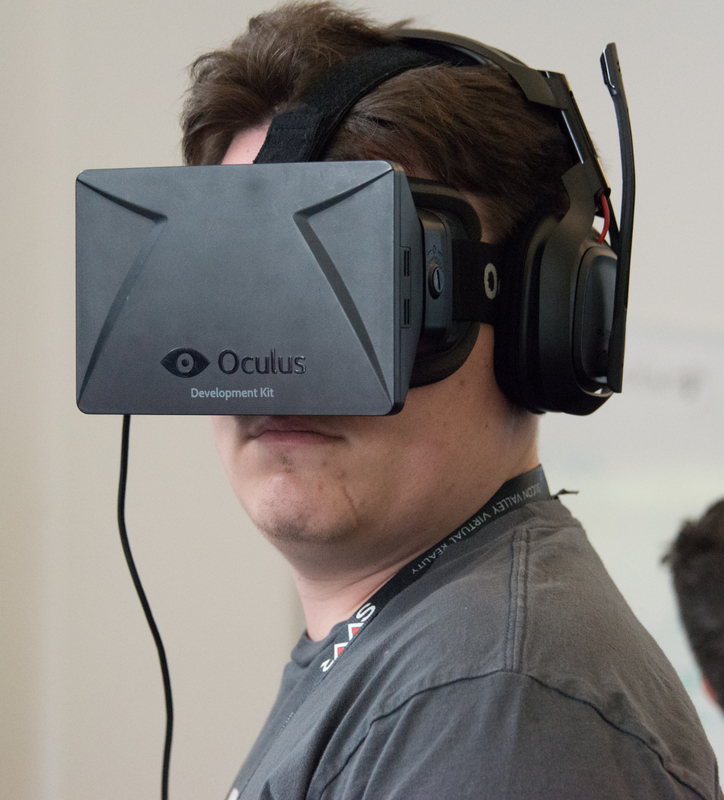 Tags: Marine Science, oculus rift, Science, technology, virtual reality. Bookmark the permalink.